Barry Green at the entrance to his aptly named home on Kangaroo Island. Photo: Emma Byrnes. A family holiday in January took us to South Australia’s Kangaroo Island, where we tracked down a local with an interesting hobby. 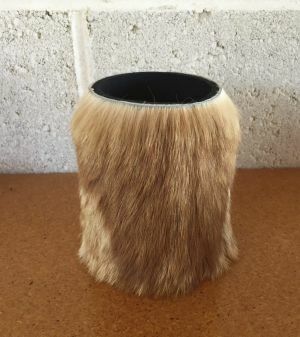 Barry Green traps, kills and skins feral cats on the island (they’re a real problem, spreading disease and eating native wildlife) and then turns them into stubby holders, artworks, hats and even (for at least one client) golf club covers. I wrote a story about Barry and the problem of feral cats in Australia, which was published in the Sunday Age on February 21, 2016. You won’t find Kangaroo Island’s Catman on the tourist brochures but ask any local and they’ll point you in the right direction. First, turn off the main road to American River down a gravel cul-de-sac and look for the gently swaying skull (wallaby and kangaroos) mobile. Past a ragtag collection of gnomes sheltering beneath the ‘beer tree’ (a dwarf pine festooned with hundreds of upended aluminium tinnies) you’ll spot the hand-painted sign above the door that makes it pretty clear you’re in the right place: Feral’s End. 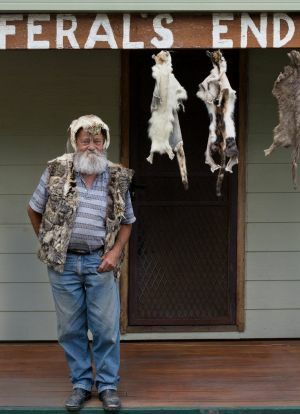 It’s the home of Barry Green, a twinkly eyed, grey-bearded 64-year-old environmentalist, who has been trapping, skinning and tanning the hides of feral cats on Kangaroo Island for the past 19 years. 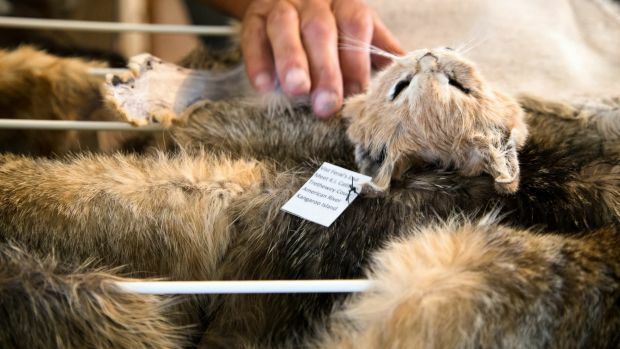 Feral cats are a real problem on Kangaroo Island, Australia’s third-largest island and home to important numbers of native wildlife thanks to its isolation, 15 kilometres off the South Australian coast. The island is free of rabbits and foxes but since cats were introduced in 1844 their feral population has grown to an estimated 5000. They have decimated wildlife and are threatening the island’s sheep industry with disease. Referring to a dog-eared notebook Barry Green confirms he’s accounted for 1366 feral cats (including a few road kill and those brought in by farmers) since joining a program to preserve and protect local native birds. 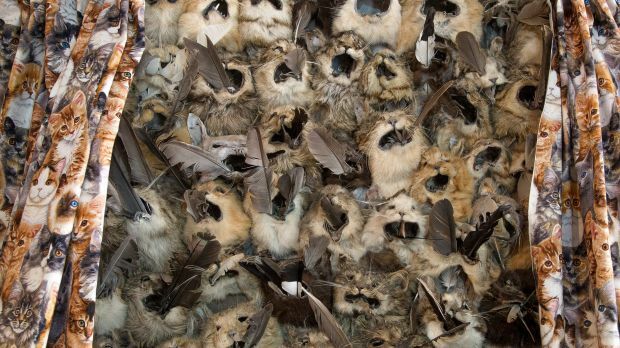 “It averages out to about two a week but I don’t trap as much as I used to – I can’t afford to travel and you’ve got to check the traps every day,” he says, switching on the lights to his lounge room, which now doubles as a fantastic, if macabre, museum of feline fur craft. 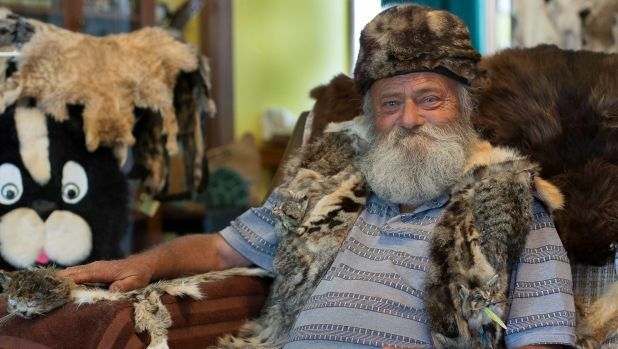 To help pay for petrol and cat food (which he uses for bait) Green sells the skins and has experimented over the years making cat fur accessories, including stubby holders, bookmarks, caps and fridge magnets. His home, which he shares with his wife Julie Green, has become a popular outsider tourist destination. “I have hundreds of letters [but] I don’t advertise anywhere because of the cat lovers,” he says, adding that he’s only had two death threats and only one of these was serious enough to report to police. 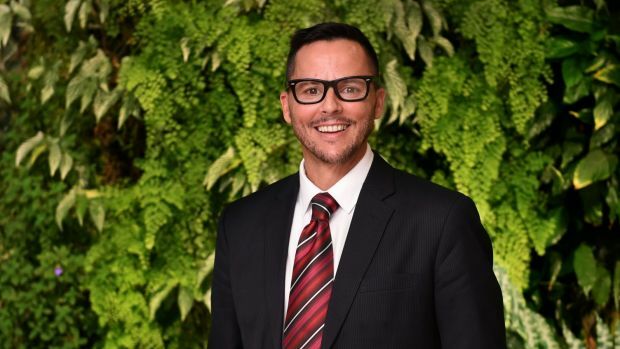 In Canberra, threats and daily abuse are now routine for Gregory Andrews. Since becoming Australia’s Threatened Species Commissioner in 2014 he’s been the public face of our war on feral cats. “One person actually wrote on Facebook that they hoped I get raped by feral cats and somebody else told me that they hoped that I burn in hell and, if not, that I’m the next target of ISIS, which I thought was kind of extraordinary,” Andrews tells Fairfax Media. And the science is compelling. Andrews says a conservative estimate puts 20 million feral cats currently roaming Australia. Since Europeans arrived here there have been 29 mammal species extinctions; feral cats have contributed to 28 of them (the thylacine or Tasmanian Tiger was hunted to extinction by humans). By comparison, in North America, where native fauna has adapted to feline and other top-order predators, only one mammal species – the sea mink – has been lost and that was due to hunting by humans. Since 2014 the Federal Government has spent more than $130 million on threatened plants, animals and ecosystems. Last year Minister for the Environment Greg Hunt announced a further $5.4 million for 93 projects around the country specifically tackling the feral cat problem. Meanwhile, Barry Green continues introducing the island’s more intrepid visitors to an issue that seems to be gathering mainstream momentum. “I’m a hands-on environmentalist,” he grins. Read the story originally published online by Fairfax Media here.